Ginnie (Analeigh Tipton) is on vacation and her phone is turned off. That doesn't stop Ginnie's father and her ex-boyfriend from thinking she has gone missing. The father is Mr. Gallo (played by J.K. Simmons) and the ex-boyfriend is Martin (played by a bearded and dimwitted Emile Hirsch). 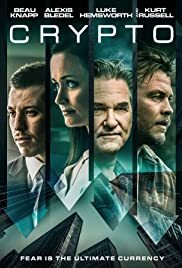 They progress through the streets of seedy SoCal, they harbor the notion that it's stupid to walk from place to place in Los Angeles (this was made public by Kevin Dillon in Entourage), they experience some serious hi jinks, and they wind up being arrested in All Nighter, my latest review. Anyway, "Nighter" plays like a combination of Due Date (just look at the poster), Planes, Trains & Automobiles, and 2015's Grandma. It's a road trip flick, a polar opposite buddy movie, and a shoddy L.A. story all rolled up into one. 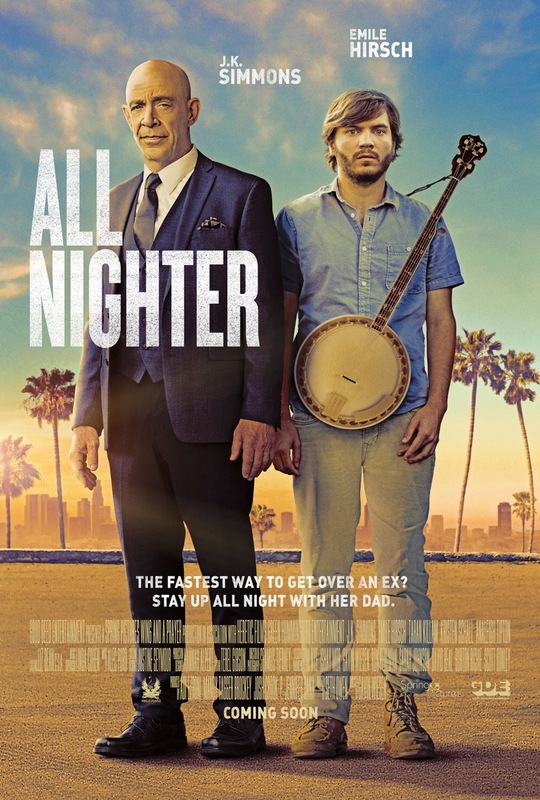 Whereas Due Date and "Planes" had some sort of purpose or destination, "Nighter" feels almost too lightweight and barely ceases to exist. The whole film could've ended if someone had sooner made a phone call to the right person. That's how frivolous and unnecessary All Nighter appears to an audience. As for Hirsch and Simmons (mentioned earlier), well they are decent actors who are clearly above this material. Their encounters with each other and everyone else in "Nighter", come off as awkward, cringe-worthy, and thorny. I'm not finished. To the supposed amusement of All Nighter's director (Gavin Wiesen), the side characters Gallo and Martin try to gather clues from, are goofy for the sake of being goofy, annoying for the sake of being annoying, and tactless for the sake of being tactless. They don't feel the need to act like actual human beings. I guess you could call "Nighter" the ultimate City of Angles thread-baring or the ultimate foray into "Hollyweird". Natch. In conclusion, a year from now when the dust has settled and all of the DVD premieres have curtailed, I see All Nighter being filtered to the bottom of a $4.99 bin at Best Buy. No BS. Rating: 1 and a half stars. Of note: Growing up in the state of Michigan, I've always appreciated the rocking music of Bob Seger. In "Nighter", Seger's hit "Night Moves" is playing in the background on three different occasions. You see "Night Moves" is without a doubt, a classic. However, it needed to be featured in a different movie, one that's much better than the trivial conch that is All Nighter.